I've already done some work on comparing translation styles between 4th century Chinese translators of the Āgamas and 20th/21st century English translators of the Pali texts (Attwood 2012). Where terms are unique or obscure the strategies available are quite limited. One can try to preserve the Indic word untranslated using your native script to represent the Indic sounds or with an Indic script such as Siddham; or one can substitute a similar word from one's own language, e.g. when the word occurs in a list of similar items (types of bird for example) one can substitute a familiar kind of bird; or, at a pinch one can ignore the difficult term; All of these approaches have their pros and cons, especially when seen in the light of centuries of hindsight. But we have some problems with more familiar common words as well. I've been thinking about some of the common epithets of the founder of Buddhist: buddha, tathāgata, sugata, arhat, and bhagavat. These words are devilish to translate into natural sounding English. We end up with a string of phrases in the form "The X One" and/or with meaningless literal translations like "the Thus Gone" or "the Well Gone". None of these work very well as translations. 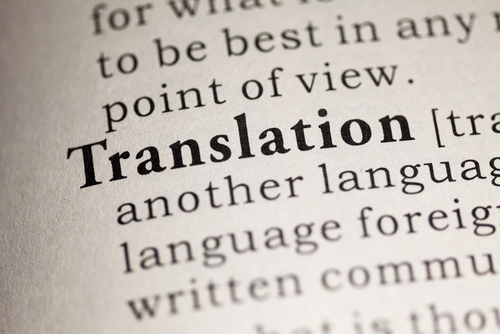 The translations don't convey any more information than the untranslated terms, so add nothing to the comprehension of the text. A phrase like "Thus Gone" still requires translation to be comprehensible. With a translation like "Thus Gone" we might actually be worse off because whereas we might pass over the untranslated tathāgata without much thought, when we see the English words "Thus Gone" we may be tempted to stop and think about them and tie our selves in knots trying to figure what they mean. The most successful of the standard translations is probably "the Blessed One" for bhagavat. We're still in awkward territory with the phrasing but at least it conveys something of the Indic and evokes an image in the Western mind. To be blessed, in English, is to have the grace of God, often bestowed by a priest, or to have good luck. Neither of which apply here. The word bhaga comes from the root √bhaj 'to divide, to share' and means 'a share'. The suffix vat or vant (Skt or Pali) indicates possession. So bhagavat means 'one who has their share'. In an earlier essay I explored how Buddhaghosa explained what the word means: see Yāska, Plato, and Sound Symbolism (2008). Apparently, bhagavat is originally a military term meaning one who has a share in the spoils of war; or a feudal term for a lord is entitled to a share of his vassals production (the forerunner of taxation). Hence, perhaps, many older texts translate bhagavat as "Lord" (though this might also be imitation of the King James Bible). In the Buddhist context we sometimes also see it translated as the "Fortunate One", again with the suggestion of good luck - and the Buddha's awakening was nothing to do with luck! But "blessed" is a good one word translation. We have an English name from the Latin benedictus meaning "blessed" which is Benedict. One of the tricks that English linguists have when they want to mark a word as serious or sacred is to either use a Latin form or to Latinise it. Thus where Freud wrote in the vernacular about the Ich, Es and Über-Ich the English translators adopted the Latin words ego, id, and super-ego. In becoming Latin the word acquires a substance so that we all think of "the ego" as a thing nowadays even though Freud conceived of it as a process. Such a word also acquires the gravitas of medical terminology since doctors still prefer Latin, or Latinate, to Anglo-Saxon or vulgar (i.e. common) terms for body parts and processes.Of course Germans capitalise all nouns, but the capitalisation of Ego, etc. helped to reinforce this perception. Another trick, widely employed by Buddhist translators is to adopt Sanskrit syntax for English words. Thus we see the creation of a Buddhist Hybrid English that employs Sanskrit word order, but it is done in imitation of the 17th century King James Bible. As in "Say not so, Ānanda, say not so" for mā hevaṃ, ānanda, mā hevaṃ or "Enlightenment" (capitalised) for bodhi. Likewise Chinese translators created a Buddhist hybrid Chinese (based on Middle Chinese) which retained Indic word order. It is true that vulgar English has moved away from Latin forms, if only because the teaching of Latin, which used to be a universal part of education, has fallen away. Where once every educated person was familiar with the Latin and Greek classics in the original, nowadays such knowledge is rare. And yet here we are trying to introduce Sanskrit and Pali words into the language. One might argue that "Benedictus" conveys both the meaning and spirit of the Bhagavat at least as well as "the Lord" or "the Blessed One". However for some the use of Latin is tied to experience of the Catholic Church rather than Horace or Virgil. The standard Chinese translation is 世尊 world-honoured, i.e. honoured by the world. I'm much less familiar with the history of these Chinese terms. Of course it can also take the more obvious meaning of a past passive participle, i.e. 'gone', but the special meaning has some advantages. Tathā is a modal adjectival pronoun: 'thus, that way, in that manner, like that'. We can see where the more usual translations of tathāgata might have come from: he is 'one who has gone in that way'. However tathā-gata might also mean something like 'one who resides in that state', i.e. one who is awakened. Paul Harrison's Vajracchedikā translation uses Realised One for this term, which I quite like. Some consider that there an ambiguity with tathāgata because it might also result from tathā-āgata where āgata means 'come'. I think this is pretty unlikely, especially given the unambiguous sugata, but some lineages see it as the primary sense of the word and in this sense it is translated as "Thus Come". Chinese texts translate tathāgata as 如來 "as come". Even if this were the meaning, what does a reader make of "The Thus Come One"? Similarly su is a prefix meaning 'complete, well, or good' (cognate with Greek eu- which comes into English as euphony, euphemism, euphonium etc.). Sugata then means 'completed, one who is well, in a good state'. The fashion at present is to leave these two epithets untranslated and perhaps to footnote the most common interpretation of the Indic. The standard translations of "the Thus Gone" and "the Well Gone" really don't communicate anything. There is a Latin word which has more or less the same meaning as sugata which is beatus from which we get words like beatify. Beatus carries the connotation of blessed, but also of happiness. When a person is "beatified" (beatus + facere 'to make') by the Catholic Church, the first step on path to sainthood, the implication is that they are even now experiencing eternal bliss. This is also the implication of sugata. I know one woman called Beata, and I suspect it's a relatively common name in some Slavic/Catholic countries. Sugata is translated into Chinese as 善逝 'well gone'. Where the character 善 is also used for Sanskrit words like kalyāṇa (beautiful), kuśala (expert, wholesome), and śubha (lovely, beautiful). Apparently they could not make up their minds where the Buddha was coming 來 or going 逝! In a weird quirk of history 逝 now means 'dead, passed away' in Mandarin. So in modern Chinese 善逝 means 'well dead'. The other common epithet is arhat (Skt) or arahant (Pali). This is from the verbal root √arh which means 'to be worthy, to have a claim, to be able, to be allowed'. The present participle arhat (Pali arahant) means 'worthy, capable, entitled, deserving'. According to PED it was used in pre-Buddhist times as an honorific for those in high office, similar to 'His Worship', and in a sense very close in meaning to bhagavat (one who is entitled to a share). We might think of it as referring to someone who has claimed to have done what needed to be done in the holy life (brahmacārya) which is how it is often phrased in the texts. The arhat is effectively a 'saint' from Latin sanctus 'holy, consecrated'. There is a folk etymology for arhat as well. This derives the word from ari-√han 'to strike an/the enemy' or sometimes 'foe-destroyer'. This etymology was given a boost by Richard Gombrich, who has has argued that the present participle is "jarring" in this context and there is perfectly good adjective from the same root, i.e. araha. Since Jains used two Prakrit forms of the word arahanta and arihanta, the folk etymology may well be the correct etymology, Gombrich argues that this stems from the same metaphor as the Jain title "jina" or conqueror, from which jaina means 'connected with the jina' (2009: 57-8). The Chinese term is 阿羅訶 which is a transliteration pronounced āluóhē or 阿羅漢 āluóhàn. It is perhaps best known in the abbreviated form 羅漢 luóhàn. Perhaps the most difficult to translate when used an an epithet is samyaksaṁbuddha. Samyañc means 'accord, concord, agreement' (literally 'bending together'). My understanding of this term is that it refers to the being in sync with the way things are (and its opposite mithyā means to be out of sync). Saṁ means 'complete, together' and buddha as we know is the past participle of √budh 'to know, to understand, to wake up to'. So saṁbuddha means something like 'fully cognisant'. And samyaksaṁbuddha means 'fully cognisant of the way things are' though it is usually translated as "fully and perfectly awakened", where samyañc is somewhat reduced in significance to just mean 'perfectly', which plays to Romantic tendencies in Buddhism. As often happens there are many different Chinese translations of this term: 正徧知 or 正遍知 or 正等覺. We also find partial transliterations such as: 三耶三佛 sānyésānfó and 三耶三佛陀 sānyésānfótuó where 佛 is a translation of Buddha and 三耶三 transliterates saṃyak-saṃ-. Clearly these epithets fall somewhere between names and titles. An epithet is something which is "put on" from the Greek epi 'in addition' + tithenai "to put". A name we hang on something. Sometimes we resort to epithets because the name of the person concerned is taboo. The Buddha seems to have forbidden his disciples from using his personal name (Ariyapariyesanā Sutta). An epithet might also be used when a person's name is prosaic and followers wish to highlight some aspect of their character or recall some event or achievement. All of these seem to apply to the Buddha. It is interesting to compare the ecclesiastical titles adopted by Tibetan priests in exile. Amongst the Tibetans we find a variety of His Holinesses and His Eminences. In fact these come from the Roman Catholic Church. A Pope is addressed as His Holiness or Your Holiness, and a Cardinal as His/Your Eminence. If we were also to ape the Catholics then the most common form of address to the Buddha would be, bhagavan (vocative case) = Your Holiness. But these titles are finely tuned to indicate hierarchies and to indicate power and subordination. They now have a medieval ring to them which no longer trips of the tongue (though arguably the Tibetan priesthood get on very well with them). Roman ecclesiastical titles are surely inappropriate to the Buddha, if not to Tibetan priests, and got quite a strong negative reaction when I tried them out on a few friends. The words under discussion are not really titles anyway. In fact they're adjectives rather than nouns and they all describe someone who has had a particular kind of life changing experience. Other forms of address are routinely taken over from ecclesiastic or temporal hierarchies. For example "Venerable" seems to substitute for āyuṣmat 'possessing life, vital, long lived, elder'. Buddhist monks are routinely referred to as "The Venerable". In the FPMT I've met the Venerable Robina Courtin and the Venerable George Churinoff for example. The word "venerable" comes from the Latin venerari "to worship, revere" and means 'fit to be worshipped or revered'. No doubt some monks are fit to be worshipped, but it's a rather grand title unrelated to the Indic term for an elder. In early times Europeans were more automatically respectful towards their elders, nowadays hardly anyone commands respect. Buddha is of course an Anglicised term and hardly needs much explanation, though too many people mistake him for the Chinese god 布袋 Bùdài the so called "Laughing Buddha". For new-comers the epithets are inevitably odd and difficult to understand. And when they ask questions it quickly becomes apparent that no one really knows what they mean. No one does any more. And yet we have to keep repeating these words because they crop up so often in the texts. Whether Latin words would aid or hinder us in communicating our history and ideas is moot. No doubt some people recoil at the very thought of using archaic Latin to communicate modern Buddhism, and for others it invokes the Catholic Church, though personally I find I associate Latin mainly with medicine, the Romans, and early Enlightenment writers such as Newton's Principia Mathematica and Hooke's Micrographia. And yet on the whole Pali and Sanskrit are more archaic and foreign to the ear than Latin or Greek. I find that most of my colleagues want to use English (or their mother tongue) most of the time and only use the minimum of Indian jargon. Most cannot tell the difference between Sanskrit and Pali. On the other hand, English is a language which is more than happy to borrow words from other languages. For example from Hindi we borrowed: shampoo, pyjamas and bangle; or from Persian: caravan, divan, ghoul, jackal and shawl. However the problem here is that most of these are concrete nouns. They have a specific referent and there is no doubt what they refer to. I don't really see any resolution to the problem of translating the epithets. They all apply specifically to the Buddha (though some are borrowed from other contexts), but the specific meaning is long lost. So we're left with all these different ways of referring to the Buddha, none of which really convey anything meaningful to anyone any more that forced to retain them because they are traditional. They only value they have nowadays is as shibboleths, i.e. the ability to pronounce these terms is a marker of Buddhist identity. Attwood, Jayarava. Translation Strategies for the Cūḷa-Māluṅkya Sutta and its Chinese Counterparts. Journal of the Oxford Centre for Buddhist Studies. Vol 5, 2012. http://www.ocbs.org/ojs/index.php/jocbs/article/view/54. This blog post is an old one I've held in reserve for a week when I can't make the Friday morning deadline The Pali counterpart to this text, the Upanisā Sutta (SN 12.23), is a very important text for the Triratna Buddhist Order. Sangharakshita, following pointers provided by Mrs Rhys Davids, found this sutta and from as early as the 1950s made it a core text for his teaching. The main idea he called the Spiral Path. An account of the doctrine of the Spiral Path was included in the first edition of his A Survey of Buddhism in 1954. Later, other teachers, such as Bhikkhu Bodhi and Ayya Khemma also took an interest in this text, though the true significance of the Spiral Path is seldom seen outside of the Triratna Movement. The Chinese counterpart, translated into English by me for the first time (back in 2012), is very similar in many ways to the Upanisā Sutta. It shows an element of standardisation with the other Spiral Path texts which are compiled in the 5th section of the Chinese Madhyāgama (MĀ) translation. The MĀ is different from its Pāḷi counterpart in that it collects many Spiral Path texts that are scattered about the Nikāyas together. I've prepared draft translations of all of these texts (MĀ 42-55), though these have now been superseded by the Numata Foundation translation of the Madhyāgama under the editorship of Bhikkhu Anālayo. However, though the first volume has been published, it is very expensive and thus unlikely to be accessible to ordinary Buddhists. Hence, my translations remain useful for now. At some point, it would be useful to produce a comparative study of the Pāli and Chinese versions of the Spiral Path texts. A reminder that I have already completed a comprehensive survey of the Pāḷi Spiral Path texts which was published in the Western Buddhist Review. Madhyāgama 55  Corresponding Preconditions Section. Taisho Vol. 1 no.26. Thus have I heard, one time the Buddha was staying in Śravāsti ( 舍衛國 shěwèiguó ), at the Jeta Grove 勝林 of Anāthapiṇḍika’s park 孤獨園. Then the Bhagavan addressed the monks: "nirvāṇa (涅槃 nièpán) has a precondition (習xí  Skt. upaniṣad) and does not lack a precondition. 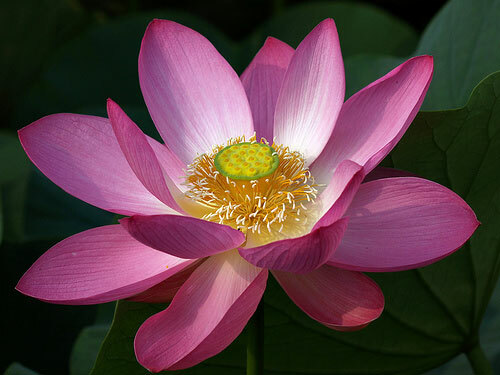 The precondition for nirvāṇa is liberation (解脫 jiětuō Skt. vimokṣa). Liberation also has a precondition and does not lack a precondition. What is the precondition of liberation? Cessation of desire (無欲; Skt. virāga) is the precondition of liberation. Cessation of desire also has a precondition and does not lack a precondition. What is the precondition of cessation of desire? Disillusionment (厭 yàn; Skt. nirveda) is the precondition. Disillusionment also has a precondition and does not lack a precondition. What is the precondition of disillusionment? To see reality and know things as they are (見如實 知如真. jiànrúshí zhīrúzhēn; Skt yathābhūta-jñānadarśana  ) is the precondition. 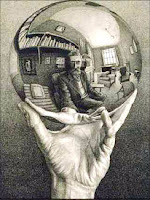 To see reality and know things as they are has a precondition and does not lack a precondition. What is the precondition of seeing reality, and knowing things as they are? Samādhi (定 dìng) is the precondition. Samādhi also has a precondition and does not lack a precondition. What is the precondition of samādhi? Bliss (樂 lè; Skt. sukha) is the precondition. Bliss also has a precondition and does not lack a precondition. What is the precondition of bliss? Calming down (止 zhǐ; Skt. 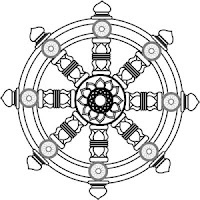 praśrabdha) is the precondition. Calming down also has a precondition and does not lack a precondition. What is the precondition of calming down? Rapture (喜 xǐ ; Skt. pīti) is the precondition. Rapture also has a precondition and does not lack a precondition. What is the precondition of calming down? Joy (歡悅 huānyuè; Skt. prāmodya) is the precondition. Joy also has a precondition and does not lack a precondition. What is the precondition of joy? Non-regret (不悔 bù huǐ; Skt. avipratisāra) is the precondition. Non-regret also has a precondition and does not lack a precondition. What is the precondition of non-regret? Morality (護戒 Hù jiè; Skt. śila) is the precondition. Morality also has a precondition and does not lack a precondition. What is the precondition of morality? Guarding the sense faculties (護諸根 Hù zhūgēn; Skt. gupta indriya?  ) is the precondition. Guarding the sense faculties also has a precondition and does not lack a precondition. What is the precondition? Right mindfulness (正念 zhèng niàn Skt. samyak-smṛti), attentiveness (正智 zhèngzhì; Skt. 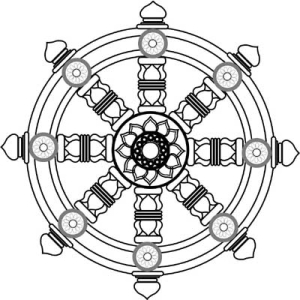 saṃprajāna) [i.e., the eightfold path] is the precondition. Mindfulness and attentiveness also has a precondition and does not lack a precondition. What is the precondition? Wise attention (正思惟 zhèng sīwéi; Skt. yoniśo manasikāra)  is the precondition. Wise attention also has a precondition and does not lack a precondition. What is the precondition? Faith (信 xìn; Skt. śraddhā) is the precondition. Faith also has a precondition and does not lack a precondition. What is the precondition? Suffering (苦 kǔ; Skt. duḥkha) is the precondition. Suffering also has a precondition and does not lack a precondition. What is the precondition of duḥkha? Old age and Death (老死 lǎosǐ; Skt. jarāmaraṇa) are the precondition. Old age and death also have a precondition and do not lack a precondition. What is the precondition of old age and death? Birth (生 shēng; Skt. jāti) is the precondition. Birth also has a precondition and does not lack a precondition. What is the precondition of birth? Becoming (有 yǒu; Skt. bhava) is the precondition. Becoming also has a precondition and does not lack a precondition. What is the precondition of birth? Sensation (受 shòu; Skt. vedanā) is the precondition. Sensation also has a precondition and does not lack a precondition. What is the precondition of sensation? Desire (愛 ài; Skt. kānti; cf. 貪欲 tānyù; Skt. tṛṣṇā) is the precondition. Desire also has a precondition and does not lack a precondition. What is the precondition of desire? Contact (覺 jué; Skt. sprśati) is the precondition. Contact also has a precondition and does not lack a precondition. What is the precondition of Contact? Contact food  (更樂 gènglè; Skt. sparśo āhāra) is the precondition. Contact food also has a precondition and does not lack a precondition. What is the precondition of contact food? The six sense faculties (六處 liù chù; Skt. sadāyatana) are the precondition. The six sense faculties also have a precondition and do not lack a precondition. What is the precondition of six sense faculties? Name & form (名色 míng sè; Skt nāmarūpa) are the precondition. Name & form also have a precondition and do not lack a precondition. What is the precondition of name & form? Awareness (識 shi; Skt. vijñāna) is the precondition. Awareness also has a precondition and does not lack a precondition. What is the precondition of awareness? Constructs (行 xíng; Skt. saṃskāra) are the precondition. constructs? Ignorance (無明 wúmíng; Skt. avidyā) is the precondition. With suffering as a precondition there will be faith. With faith as a precondition, there will be wise attention. With wise attention as a precondition, there will be mindfulness & attentiveness. With mindfulness & attentiveness as a precondition there will be guarding the senses; morality; non-regret; joy; rapture; calming down; bliss; integration (samādhi); knowing and seeing things as they are; disgust; cessation of desire; liberation. With liberation as cause there will be nirvāna. This is what the Buddha said. The bhikkhus heard and they all rejoiced. 習 xí "usually means ‘to practice or become accustomed to’ and the only place I've seen it used to mean ‘cause or condition’ is in this sutra and the other sutras in this section of T.99." [MO’C] Here is stands for upaniṣad (Pāli upanisā) in the sense of underlying condition, or precondition. Bodhi uses the phrase ‘proximate condition’ in his translation of the Upanisā Sutta. Cf. 見 ‘see; darśana’; 如實 ‘reality, truth’, yathābhūta; 知 jñāna; 如真 yathābhūta, tathatā; hence "to see reality, and know things as they are". 諸根 zhūgēn = indriya; 護 = ‘protect, guard’ and used to translate Skt. gupta as well as rakṣita, pāla and pālita. Perhaps Skt. indriyagupta? Cf. 守護根門 Shǒu hùgēn mén ‘guarding the sense gates’. This combination of characters is also used for samyak-samkalpa right-intention. Note that sensation and desire are given in reverse order in the Chinese text. This would seem to be a scribal error. I can’t find 更樂, per se, but Digital Dictionary of Buddhism has "更樂食 (simplified 更乐食) [gēnglè shí] ‘sensory food’". In Yogācārabhūmi-śāstra (Translated Chapters) By Maitreya Bodhisattva. Buddha Education Foundation, 2012. http://buddhavacana.net/yogacarabhumi-sastra/ "Sensory food 觸食／樂食: the nourishment that one takes through the contacts of the six senses". (p.47) The collective term for the four kinds of food is catvāra āhārāḥ. In the Yogacarabhumi [manobhūmidvitīyā], itself, we find "| te punaścatvāra āhārāḥ | kavaḍaṅkāra āhāraḥ sparśo manaḥsañcetanā vijñānañ ca | http://dsbc.uwest.edu/manobhūmidvitīyā. The idea of contact as food occurs in the Pāli (See Nyanaponika 1981. ‘The Four Nutriments of Life: An Anthology of Buddhist Texts.’ Wheel Publication. No. 105/106 Buddhist Publication Society). But it is used very differently. In Pāli contact is nourishment; here contact-nourishment is a precondition for contact.